The Committees are the basic work units of the MOAS. 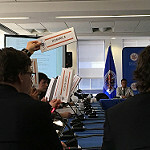 Delegates are divided into five committees: 1-General Committee, 2-Committee on Juridical and Political Affairs, 3-Committee on Hemispheric Security, 4-Committee on Inter-American Summits Management and Civil Society Participation in OAS Activities; and 5-Committee on Administrative and Budgetary Affairs. 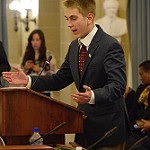 Once in their committees Head and Alternate Delegates deliver their general statements to other delegates during the first sessions of the Committees. To address the Committee topics, delegates are distributed into Working Groups (WGs) where they propose ideas and formulate draft resolutions. Model and Committee Dynamics. One key benefit that sets the MOAS apart from other Models is the relevant and helpful guidance on a wide range of topics provided by OAS specialists. Their participation provides unique added value to the program. After a brief presentation and Q&A session, OAS experts are available to support the process of drafting resolutions. The resolutions issued by each of the Working Groups are discussed with the OAS Expert, before being debated and discussed by other delegates. 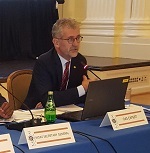 Once the recommendations and/or changes suggested by the OAS Expert have been incorporated, draft resolutions must be forwarded to the Chairs of each committee. 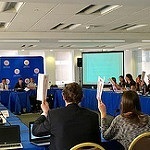 The Chair will break the Committee into six working groups to draft one resolution each. Delegates brainstorm and propose ideas for the draft resolution. Each Working Group will select a delegate to keep record of the proposals to be included in the resolution. 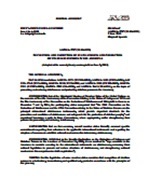 All proposals need to be presented in the form of clauses. 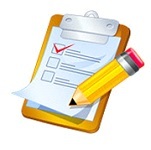 Check the Working Group Help List and the Working Group Flowchart. Draft resolutions are debated in each Committee. The Committee Chair opens the floor for the intervention of all delegates who can be for or against the resolution. The Chair calls for a vote on proposed amendments when applicable. Check Debate of Resolutions flowchart. Each country delegation has the right to one vote. One of the main goals of the MOAS exercise is that delegates reach consensus through negotiation and compromise. If this is not possible a vote will be taken by a show of the country placards. Check MOAS Rules of Procedure regarding Debate and Voting.